REDI adopts Principles of Community resolution – REDI | Regional Economic Development Inc. The REDI Board has adopted the Principles of Community diversity/inclusion resolution authored by Kevin McDonald, UM System Chief Diversity Officer and MU Vice Chancellor for Inclusion, Diversity and Equity. The Board adopted the resolution in March as part of REDI’s continuing efforts to grow and foster diversity and inclusion within the REDI organization. 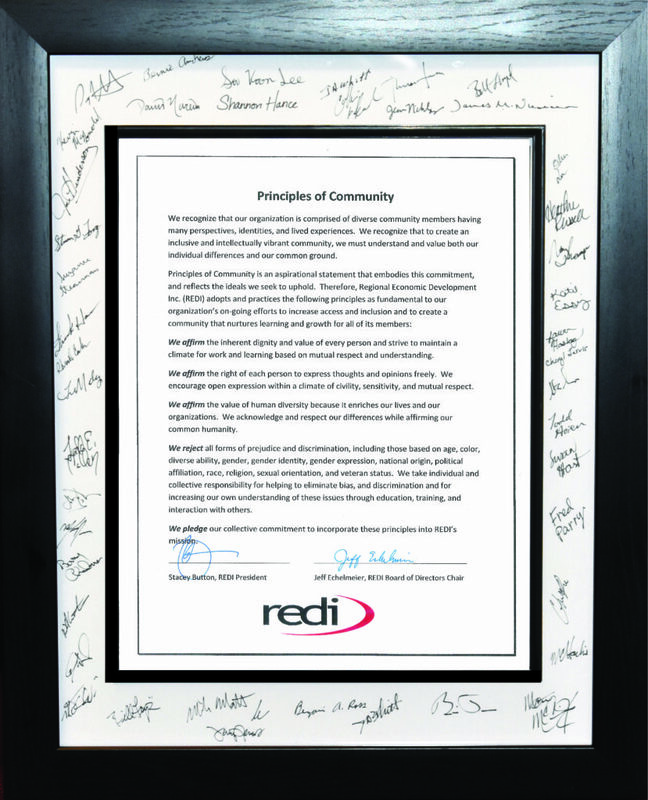 The resolution, framed within the signatures of its many supporters, is now displayed in the REDI office. Click here for a printable copy of the Principles of Community resolution.